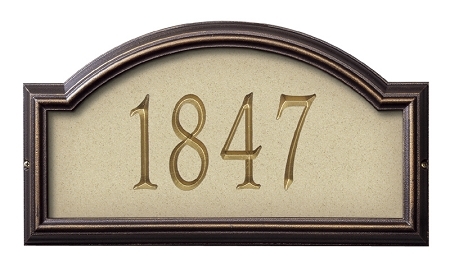 This elegant plaque is made in USA. 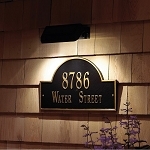 * Constructed of solid acrylic giving it a natural stone look with painted accents. * The finish has been specially formulated to withstand temperature extremes. 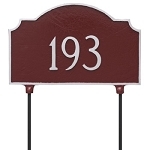 Numbers are engraved into an acrylic solid surface material with the engraved area coated with weather resistant paint that will neither rust nor corrode.